What Does Punxsutawney Phil Know About Real Estate Sales? 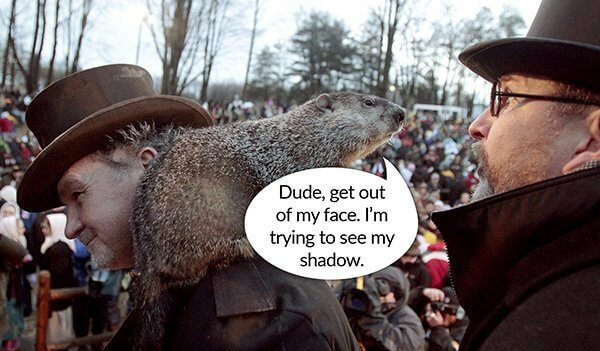 Today, the most famous rodent in the country, Punxsutawney Phil, announced to the world that he DID see his shadow, which means 6 more weeks of winter. If the little fuzz ball is right, that’s not good news, at least for those of us who don’t live in San Diego. But given his dismal 50% record, I don’t think it’s wise to bet on the rat. If he’s wrong and Spring comes early, that would mean more buyers will be out shopping for properties, and more sellers will want to list their properties. Groundhog shadows aside, there are other reasons to be optimistic (check out this Forbes article). Interest rates and home prices are both expected to climb, which should give a lot of buyers the incentive to move sooner rather than later in order to take advantage of current conditions. Add to that the increase in disposable income enjoyed by the majority of Americans due to the recently enacted tax reform legislation and there is the potential for very strong demand. So, in spite of what Phil says, now is the time to start preparing for more listings. At the top of your list(ing) should be photography and virtual tours. To help you get a property ready for photography, we’ve developed a comprehensive Pre-Photography Checklist, which you can access HERE. In it, you will find some great tips for making sure the property looks its absolute best for the photographer. We’re sure even Phil would approve.